In the 1950’s, 60’s and 70’s, White Center Stadium (now Steve Cox Memorial Park) was the home of men’s semi-professional baseball and professional fast pitch softball teams. Several hundred adults, kids and families would fill the stands and sit along the fences watching a high level of baseball under the lights on Friday and Saturday nights. The stadium hosted former professional baseball players, college athletes with dreams of making it to the big’s and men’s fast pitch teams like Pay n’ Pak and the King & His Court. After the original wood stadium burnt down in the late 1970’s, baseball slowly faded from the Highline area. Today the park has been remodeled, dedicated to fallen community leader and police officer Steve Cox, and is home to little leaguers, high school and men’s senior leagues, but the stands are far from full. The once packed community-centered stadium rarely sees a high level of competitive baseball. The stands of the stadium can still hold over a thousand spectators but haven’t seen that type of crowds in decades. The Highline Bears baseball team plans to change all that. This baseball organization is a new expansion team in the Pacific International League. The Pacific International League (PIL) was founded in 1992, and the league is considered by many to be the premier Summer Collegiate Baseball league in the Northwest. Sanctioned by the National Baseball Congress (NBC), most PIL players are NCAA eligible and are unpaid in order to maintain their eligibility. The PIL is different from many other summer collegiate baseball leagues in that the league also allows former professionals and college graduates to participate. The Highline Bears board is made up of local community leaders, who have a history of bringing the community together. The President, Greg Lillehaug, is a former Cheif Sealth baseball player & former President of the Southwest Little League. The Vice President of the Highline Bears is the former North Highline Fire Chief & current Water District Commissioner Russ Pritchard. 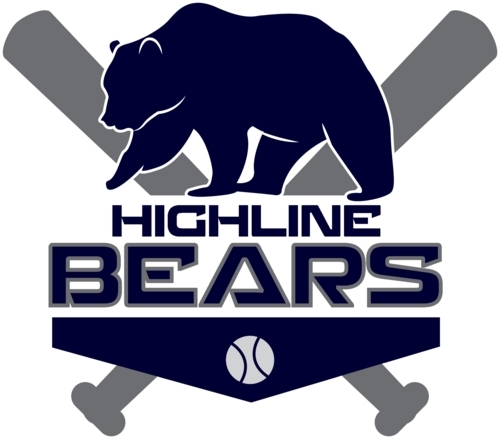 The goal for the Bears is to bring back a high level of baseball to the Highline area while bringing the community together. The Highline Bears are currently looking for sponsors, volunteers, and participants for their poker fundraiser on Feb. 21 at St. Bernadette’s Parish Hall.